Remember when you were little and you had to sit on like 5 phonebooks to have dinner with your family once you were out of the highchair? What do kids do now that phonebooks are a thing of the past? 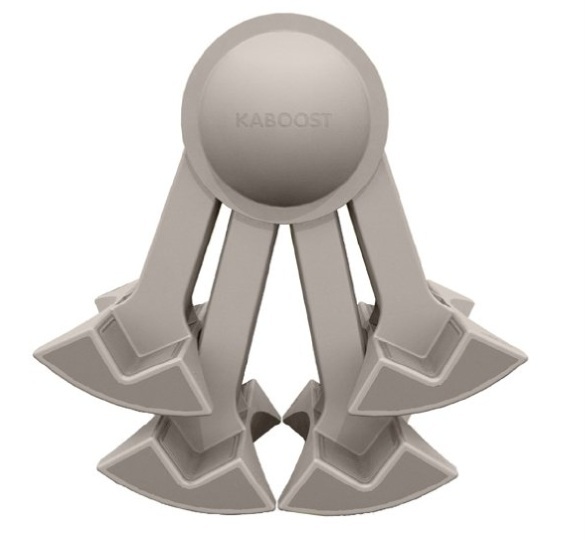 Well, one option is the Kaboost, a set of lifters that raises normal chairs so little people can sit at the big table. This sturdy plastic lift can be used on a wide variety of chair types to lift them a bit higher up to make it easier for smaller people to reach tables or desks. It is very stable and can hold up to 300lbs of weight. The device is really simple to use and can be installed on the chair in seconds. It’s also super light which makes it portable and easy to carry around to family and friends when traveling. The real question is, why did no one think of this sooner? Do you remember the tower of phonebooks? How uncomfortable that was? Do better for the children of tomorrow. The Kaboost is $46.99.